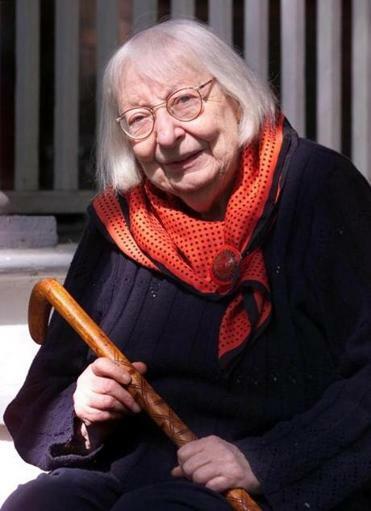 As rebels go, Jane Jacobs is vaulting to cult status. For years she has inspired urban planners, community activists, and fight-the-power libertarians alike. There’s a Jane Jacobs Medal and Jane’s Walks, celebrating the urbanism of her beloved Greenwich Village. Just this month a documentary film, “Citizen Jane,” debuted at the Toronto Film Festival. The attention is justified. Jacobs revealed, in the 1950s and 1960s, how urban renewal, with its indifference to the organic and the human, was destroying neighborhoods. As an activist, she stood up to the bulldozers and the massive highway-building schemes of master builder Robert Moses. As author of “The Death and Life of Great American Cities,” she established city-building principles that are nearly universally accepted today. The more we learn about her, however, the more we wonder what made her tick. In “Eyes on the Street: The Life of Jane Jacobs,’’ a comprehensive biography by former MIT professor Robert Kanigel, a portrait emerges of an independent thinker and a caring mother, wife, and friend as well as a courageous if reluctant heroine who stepped into an arena dominated by men. She was Betty Friedan, Rachel Carson, and Erin Brockovich all rolled into one. A self-described writer about “quirky” topics — a deep dive on leather and its imitators, life on a lonely Irish island, and the odyssey of Indian mathematician Srinivasa Ramanujan — Kanigel takes a soup-to-nuts approach, dividing the book in three major sections. First is a childhood in Scranton, Pa., a small city where she came to value the importance of community and also engaged in feisty debates with schoolteachers that landed her in detention. This was followed by a move to New York City in the 1930s, and her first jobs at magazines. Her life’s goal was to be a writer, not an activist, and she would eventually produce seven major books. Next comes a career-changing appearance at Harvard in 1956 where the anxious Architectural Forum writer first publicly laid out her ideas, and the seismic publication of “Death and Life” five years later (some of her thinking inspired by her admiration for Boston’s North End). And throughout this period were her battles with Moses — fighting his proposed roadway through Washington Square Park, the Lower Manhattan Expressway through SoHo, and the Moses-inspired urban renewal proposal in her very own neighborhood, the West Village. Finally, Kanigel chronicles the long denouement of life in Toronto, where Jacobs moved after being arrested for inciting a riot at a public hearing in lower Manhattan in 1968. It is this part of the story — the exile to Canada — where there is the most unexplored territory. Jacobs was fed up with New York and sought to protect her sons from the draft, but mostly was tired of being an activist. She wanted to write more books. “Among belongings crowded into the VW bus the Jacobs family drove to Toronto were Jane’s typewriter and the manuscript of the book she’d work on through much of the 1960s, no doubt extracted from the freezer chest in their Hudson Street basement where she safeguarded it,’’ writes Kanigel. A sheet of plywood served as a desk, and along with a file cabinet, “she was in business.” With her black-rimmed glasses, tousled hair, and plain attire, she was nothing if not unassuming. Her later books explored urban economics and the way cities work, though they never quite caught on the way “Death and Life’’ did. Even in Toronto, she couldn’t get away from activism, as she was drawn into fighting the proposed Spadina Expressway. She obliged, like a rock star honoring a request to play the hit single. Kanigel downplays the Jacobs vs. Moses narrative, though the trope endures in part because it’s playing out in growing cities around the world: sweeping, top-down planning with lots of housing and infrastructure, or more cozy, human-scaled city-building guided by the citizenry. Being a protester at the barricades is also where a lot of the colorful action is; it’s a tougher challenge to write about a writer, much less a writer with occasional writer’s block. The stretch is sometimes evident in Kanigel’s abundant deployment of italics to make a point. Making ample use of the Jacobs papers housed at Boston College, Kanigel is aided by the cooperation of Jane’s son, Jim Jacobs, a resident of Toronto. Jacobs herself never authorized a biography, and agreed to interviews sparingly. She died in 2006. The author is at his best diving deep into the scenarios that ticked Jane off — turning her back on Columbia/Barnard for demanding that she take required courses, even as she penned an insightful treatise on the US Constitution; arguing for equal pay for women with a chauvinist boss sneering over her shoulder at her first magazine job; or railing against US authorities questioning her desire to visit the Soviet Union. All that drove this change-maker may yet be more fully understood, but “Eyes on the Street” is a welcome addition to the literature.